Need some last minute gift ideas? 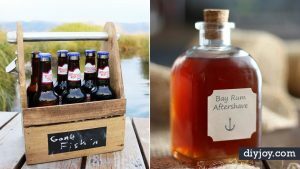 Try these awesome but quick DIY gifts you can make in minutes. What better present to give than something you made yourself, too? 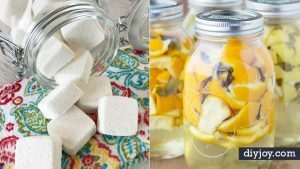 Many of these DIY presents can be done in under an hour, but you would never know it by looking at them. 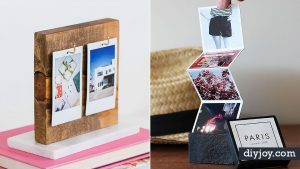 Whether you need ideas for friends, family, neighbors, mom or dad, these cool, creative crafts are a lot of fun to make, too! 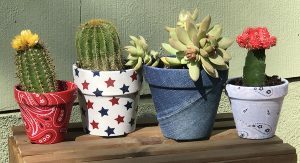 Check out the easy to follow step by step tutorials to learn how to make simple home decor items, fashion accessories, bowls, planters, wall art and more. Learn to resurrect ancient traditions like letter writing because letter writing is still alive in the hearts of so many, and there’s no better way to preserve those precious memories than to have a custom envelope pouch to keep them in. I make leather crafts and always have scraps laying around. Remember even if you don’t have enough of one color you can make a patchwork pattern. I made a leather envelope pouch with one closure, using only leather glue. For an extra special touch, you can add initials with stamping tools and a mallet. 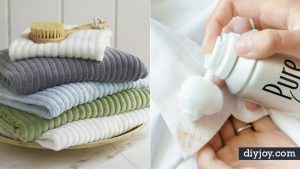 These are a perfect DIY Christmas gift that looks like a high-end Coach or another name brand. Letter writing is still alive in the hearts of so many, and there’s no better way to preserve those precious memories than to have a custom envelope pouch to keep them in. I make leather crafts and always have scraps laying around. Remember even if you don’t have enough of one color you can make a patchwork pattern. I made a leather envelope pouch with one closure, using only leather glue. For an extra special touch, you can add initials with stamping tools and a mallet. 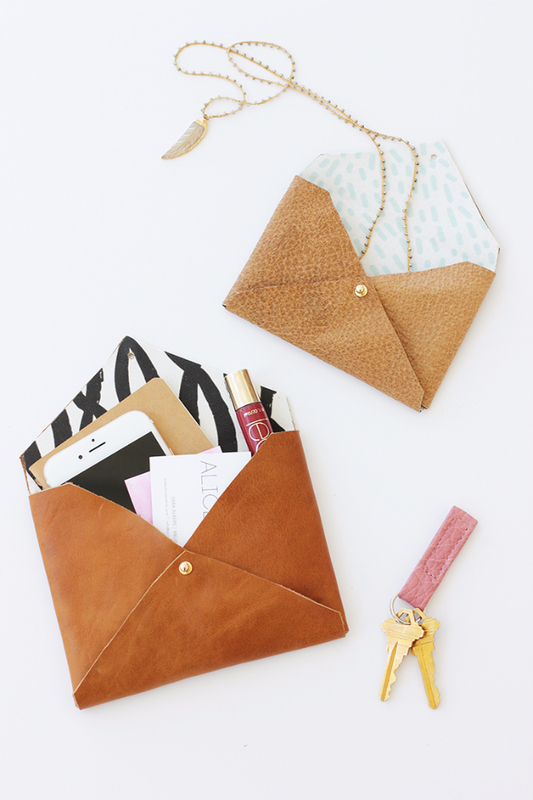 These are a perfect DIY Christmas gift that looks like a high-end Coach or other name brand. 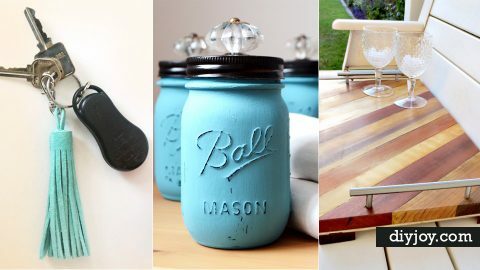 This chalk paint project could not be easier and it’s perfect for Christmas gifts. I grabbed some vases at Goodwill, then painted two quick coats of some chalk paint that I got at Michael’s. I used Duck Egg Blue and French Linen. After they dried I used a damp kitchen sponge to distress them. I waxed them to protect the finish and give it a polished look. Then I embellished them with some craft supplies I had on hand. I’m going to fill them with some simple white flowers for Christmas and gift them to my mom, mother-in-law, and grandmother. 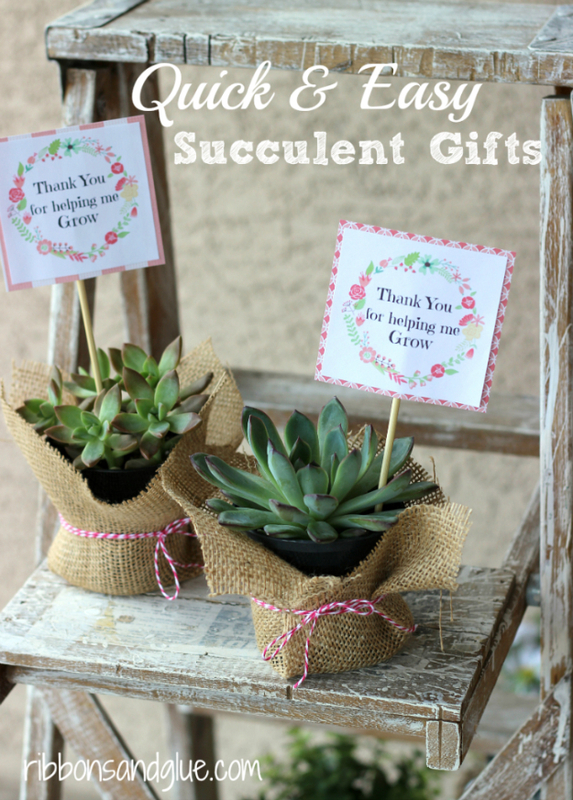 A handmade gift is always special and this one is affordable and takes less than an hour! 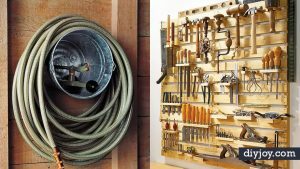 Learn how to make quick works of art, no artistic skills required. All you need is nail polish, water and a blank canvas. Check out the video to learn how to make some for yourself. My best friend just got a new home and is going with a Southwest style home decor. 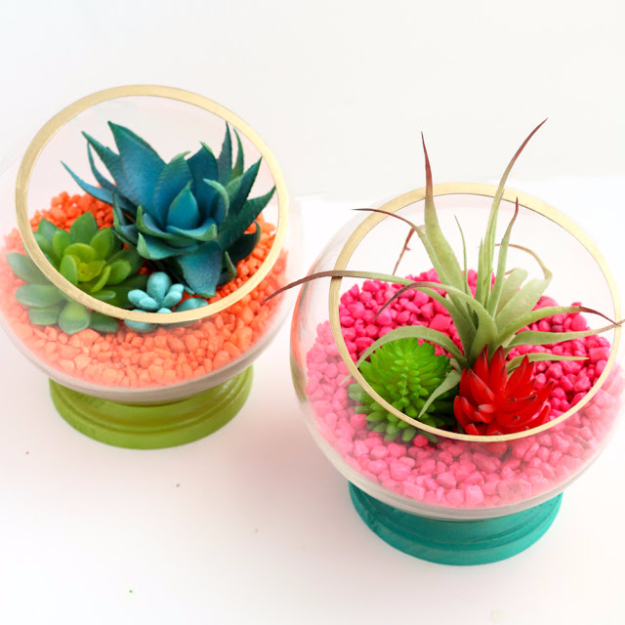 I wanted to make her a lovely DIY Christmas gift, so I decided on this fabulous neon footed terrariums. I originally made these terrarium bowls for a different project, but then I grabbed a few bags of neon pink and orange aquarium rocks for me on her recent trip to the pet store, and I knew that would give us the Southwest color pop to really bring her room to life. I needed a quick Christmas gift for my Son’s teacher and I saw this excellent idea on Pinterest for guided bowls. I had some wooden bowls I got at a garage sale, so all I had to do was stamp them with some gold ink. I had enough to give all my kid’s teachers and they were thrilled. 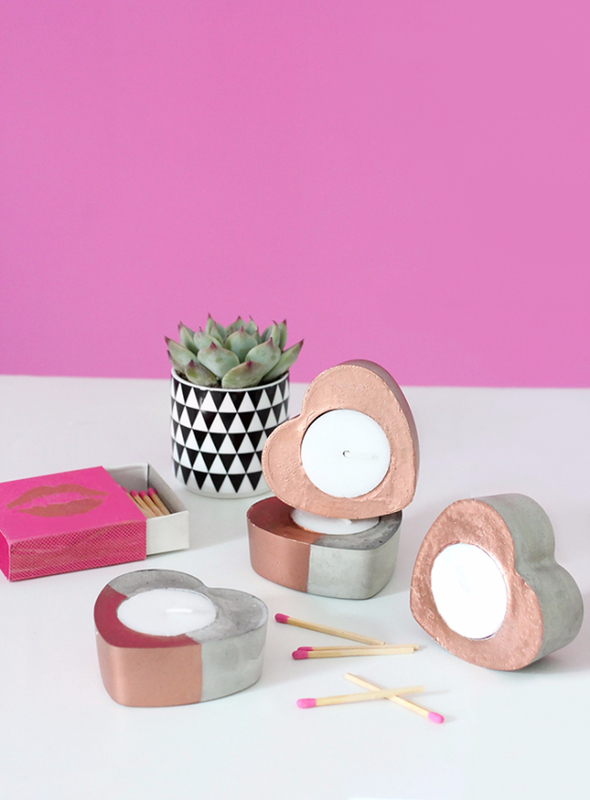 My young cousin collects hearts, I needed to make her a quick DIY Christmas gift and I saw these DIY copper heart candles on Pinterest. They were so cute and had a lovely 2 tone copper and silver effect. 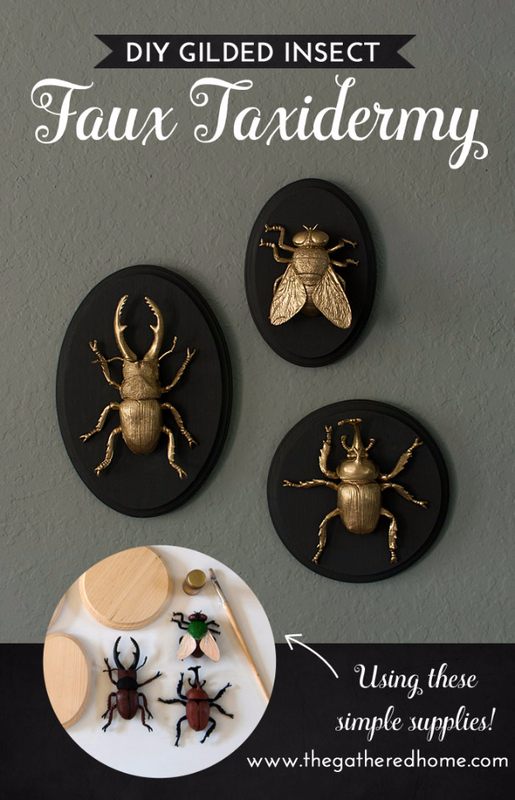 The entire DIY craft time was about half an hour and they did not disappoint, she loved them and they look fantastic in her collection. 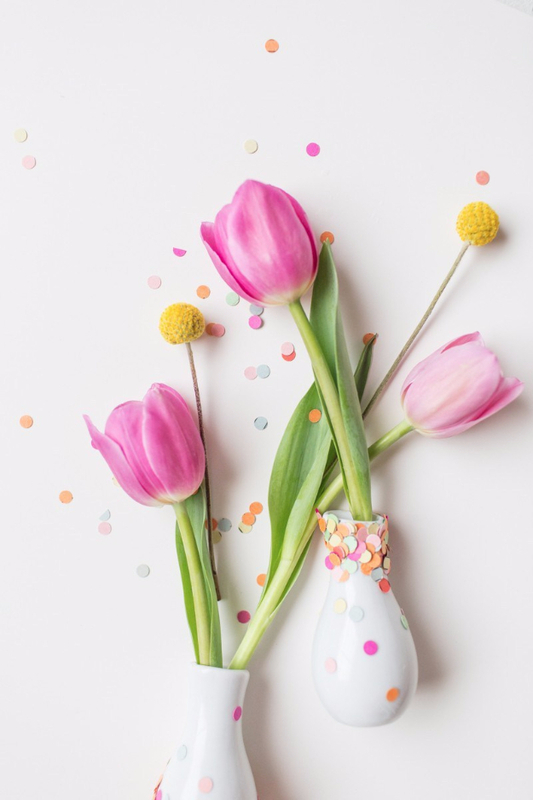 I saw this confetti vase DIY craft idea on Youtube and had to make some for my Daughter’s Birthday party. I got cheap miniature vases from the Dollar Store and made some bright confetti with my hole punch. I put flowers in them and placed them on the wall of the entryway to greet our guests. They looked so spectacular. I recommend this project 100%! 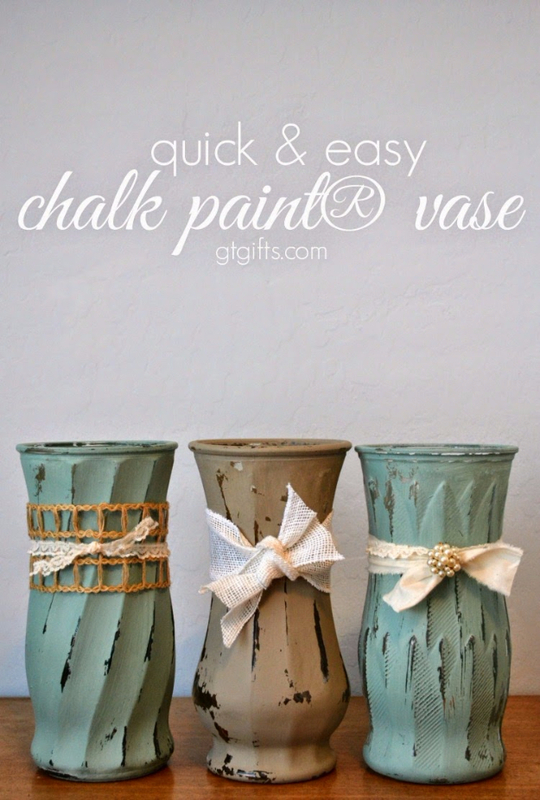 A few dollars on vases, old paper, and a glue gun is all you need to create this masterpiece. So, I think this might be my favorite DIY to date. It’s just so practical and pretty! A few friends and I decided we would get together once a month for an all-day craft day to create some beautiful DIY Christmas presents for our friends and family. We had been wanting to try out gold leaf for a while now. 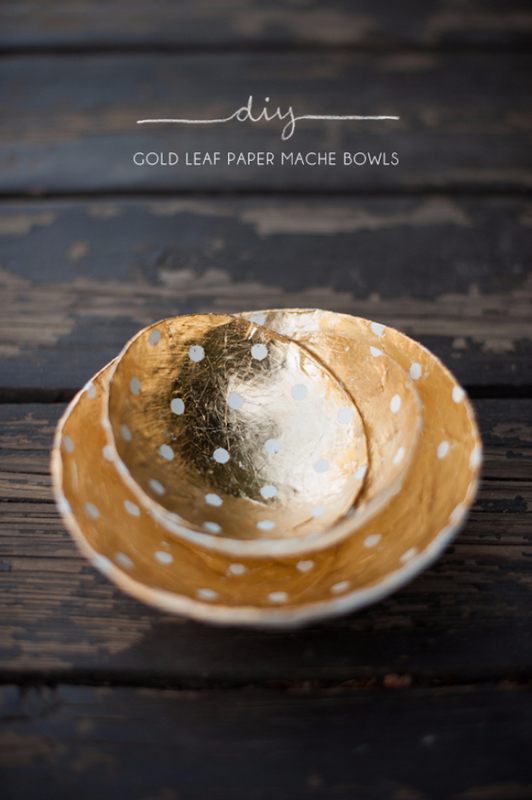 And we thought these paper mache bowls would be a perfect application. Our intent was to use them as jewelry dishes. We used balloons, newspaper, and modpodge to make the bowls. 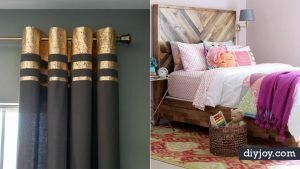 We used the gold leaf as in the DIY tutorial, but craft paint does very nicely as well. This is a very rewarding project and will not disappoint on any level. My Father In Law was recently in the hospital and he loves succulent plants, so I thought a few around his room would really cheer him up. Purchasing the succulents from the garden store was actually the hardest part of this whole project. There are just so many shapes, sizes, and colors of succulents to choose from! 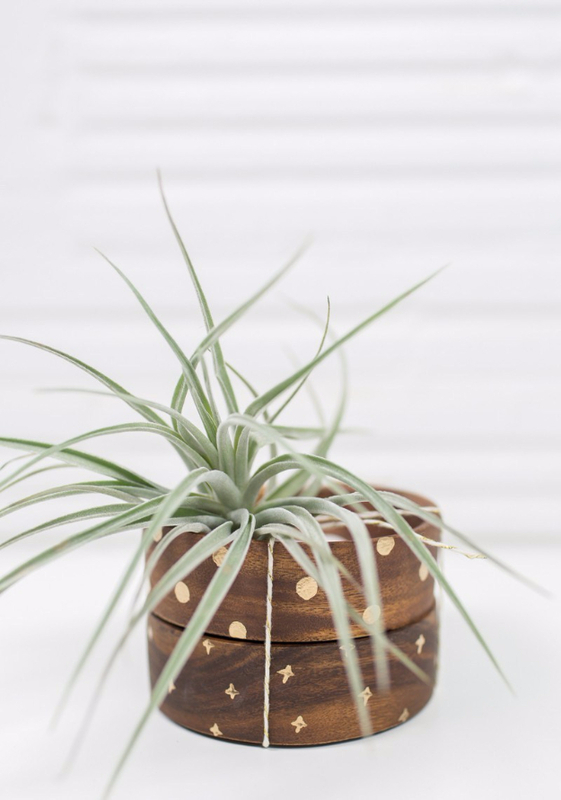 Instead of re-potting the plant, I wrapped a piece of burlap and twine around the pot and quickly made up a DIY graphic created from the vast selection at Michael’s craft store. My Grandma taught me to crochet and its something I’ve loved doing for a very long time. 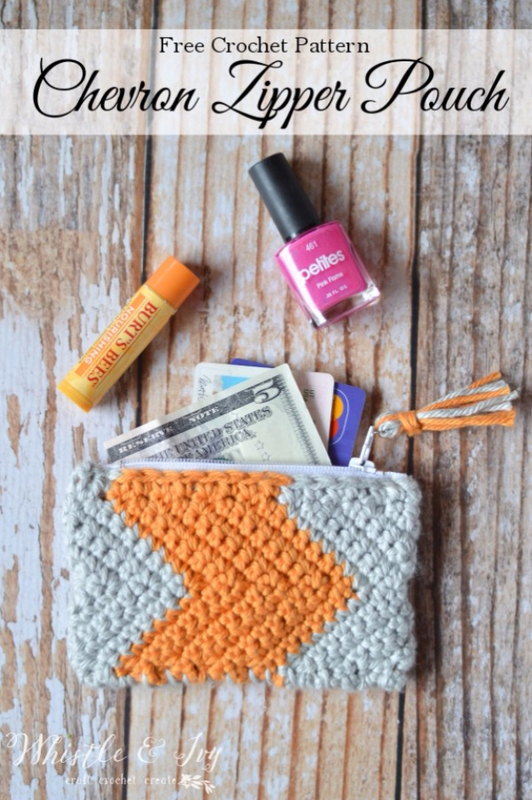 This is a super easy pattern if you have beginner skills. I made one for my step daughter who is very into the hippy BoHo look. She carries it everywhere and I managed to spark her interest to make some with me to give to her friends as Christmas presents.